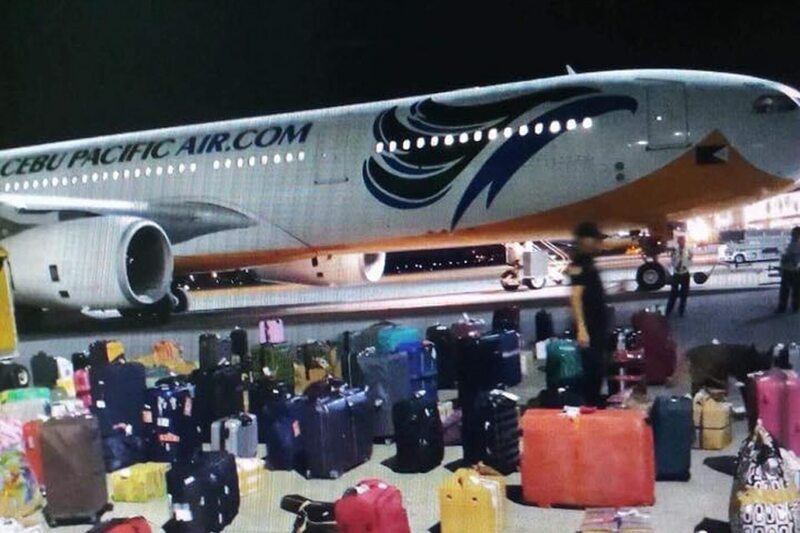 Aviation Updates Philippines - Passengers were bothered after their scheduled flight was delayed due to a woman's bomb joke at the Francisco Bangoy International Airport in Davao City on Tuesday evening. BOMB JOKE IS NO JOKE. Airport police authorities checked each passengers' bags after they received a bomb threat verbally from a passengers of a flight to Manila. The passenger was imprisoned for 12 hours, but she was released for the mean time. Photo by DIA Police Station. According to reports from Philippine media, the woman was identified by DIA Police Station as Blanca A. Pulvera, 28, a resident of Mabini, Compostela Valley province. This prompted the flight to be delayed for about three hours. The woman allegedly joked about having a bomb inside the aircraft. This unethical statement provoked passengers to deplane the aircraft before departure. K-9 UNITS DEPLOYED. K-9 unit of the Aviation Security Unit (AvSU) was deployed to the scene immediately to check the area for any threat. Photo by DIA Police Station. 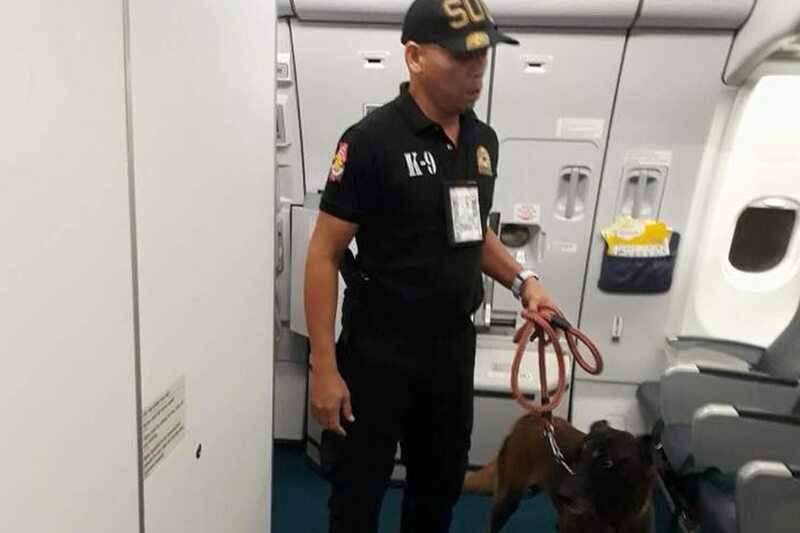 The Philippine National Police - Explosive Ordinance Division (EOD) and the Aviation Security Unit (AvSU) K-9 units were immediately called out to be deployed to the scene. They, later, found out the bomb threat to be a fraud. Security authorities clarified that they are taking these threats seriously since the country currently has a high-level of threat from terrorist activities. Pulvera was said to be imprisoned for 12 hours; however, she was released for the mean time since authorities are lacking additional requirements and complaints to file a case against the alleged person. The witnesses are in Manila for the time being, and authorities are waiting for the witnesses to be back in Davao before filing a case. Flight 5J970, an Airbus A330-300 service to Manila, departed at about 8:40pm local time, merely around 2 hours and 40 minutes late from the scheduled 6:00pm departure time.